Yet, proponents of these spruced-up communes claim that they offer a sense of community. Which is of course key in our lonely digital worlds. WeWork entered the coliving game as early as 2016, opening two WeLive spaces in the US. Not one to downplay communal living, their website proclaims ‘Love your life.’ Because, well, FOMO sells. 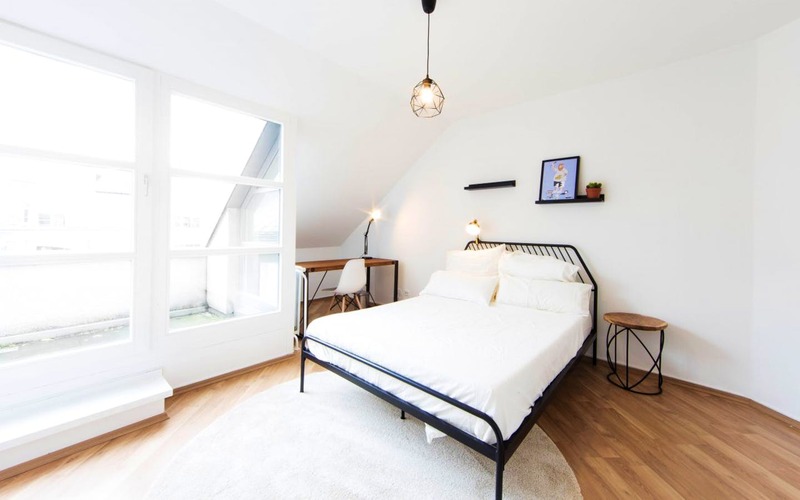 Some coliving spaces function on a longer-term basis and allow you to live smack-bang in the middle of big cities; think The Collective in London, or Projects in Berlin. Oh and Happy Pigeon, who decided to steer clear of communist names. Looking for a more temporary solution? There are short-term coliving spaces popping up all over Europe, which naturally include coworking facilities. So let’s say you’re a digital nomad looking to spend anywhere from a couple of nights to a couple of months in a spot. Where can you live and work with ease? Well, since we love to remote work ourselves, we decided to throw together a little list for you. Happy coliving! When you’re not slinging together some Spanish sentences, there are also free bikes at your disposal. Plus, there are surfboards and kayaks for rent, so you have plenty of activities to enjoy in your downtime. Closest Airports by Car: Alicante (1 hour & 10 minutes) and Valencia (1,5 hours). Matera is one of those charming Italian towns that cascades down the hillside. But what sets it apart is its cave dwellings, making it one of oldest continuously inhabited cities in the whole — and a UNESCO World Heritage Site. Sample what the region has to offer from the comfort of Casa Netural, a 4-storey house in the heart of Europe’s Capital of Culture 2019. If you’re dreaming of endless evenings filled with pasta and red wine, then join their CuciNetural club. Or perhaps you have green fingers, in which case you can lend a hand to their agricultural efforts at AgriNetural. Nothing like la dolce vita with a little lavoro thrown in. Closest Airport by Car: Bari, Italy (1 hour). Beyond looking like an architectural delight, Mokrin House makes for quite the rural escape. You can expect three delish meals per day — including their homemade rolled cheese(!) — and boutique accommodation options. Plus, you can splash around in the pool, get lost in the Serbian countryside on a complimentary bike, or snuggle up with other digital nomads for a movie night. There’s a secluded coworking space available 24 hours per day and plenty of workshops and seminars to occupy your time. Always wanted to try your hand at ceramics? Well, now’s your chance. Closest Airport by Car: Timișoara, Romania (1,5 hours). Yes, we too have dreamed of nibbling on tapas and sipping sangria until our heart’s content. Barcelona’s first coliving space, A Landing Pad, gives you the chance to do that and much more. The former guesthouse is located in the quaint neighbourhood, or ‘barrio’, of El Poble-Sec. Make yourself at home in one of 12 ensuite bedrooms and (attempt) to get some work done on the sun-drenched terrace. They organize the usual array of social events and, since there’s a minimum stay period of one month, you have ample time to get to know your neighbours and savour that sense of community. Closest Airport by Car: Barcelona El Prat, Spain (15 minutes). If you’re a burgeoning surf champ / digital nomad, then look no further. Portugal’s southern coast, the Algarve, is world renowned for its surfing spots — and you can access up to 20 different beaches within half an hour’s drive from Stokework’s coliving space. No stress if surfing is not your thang, there are plenty of hiking and biking opportunities to be had in the nearby Costa Vicentina National Park. Plus, there’s a coworking space which resembles a living room, so you can be sure to feel right at home. Closest Airport by Car: Faro, Portugal (1 hour). Coconat is like the country home you wish you had. Located in the north-east of Germany, it comes complete with a cosy library and giant fireplace. There are also plenty of places to meander around outside, including a pond, vegetable garden, courtyard, and the lawn. You can look forward to three hearty meals per day whilst getting down to business. And when you do need a break, there’s the famous spa of Bad Belzig just around the corner, along with this kick-arse treetop walk around a derelict sanatorium. Closest Airport by Car: Berlin Tegel or Schönefeld, Germany (1 hour & 15 minutes from both). Looking to get back to basics? Then Sende is the place for you. Nestled in the teeny town of Senderiz in northern Spain, it’s about as far away from an office as you can get (while still having WiFi). As stated on their website; ‘Sende is an experience, not a hotel.’ You’ll be expected to chip in for groceries and help out around the house, so make sure you enjoy communal living before heading there. But in return, you’ll be richly rewarded…picture yourself bathing in the village pool, visiting the local bakery for some fresh bread, or simply enjoying the tranquillity of the Spanish countryside. Be sure to book up a slice of this rural paradise in advance, since the number of yearly spots is limited to 118 people. And be aware that while you pay for a yearly membership, you can only stay up to 30 days per year. Closest Airport by Car: Porto, Portugal or Santiago de Compostela, Spain (both approx. 2 hours). CocoHub is a vibrantly-decorated 400-year-old Maltese townhouse, complete with an enchanting courtyard. The island is so small that convenience is a given—get to the airport in twenty minutes flat and to the beach in only two! The space is located in one of Malta’s oldest ‘hoods, Vittoriosa, so you’ll be close to the ferry, supermarkets, restaurants, and gyms. Or you can #GetShitDone (one of their fave hashtags) at high speed, thanks to their 250 Mbit/s WiFi. What’s there to do on the weekend? Perhaps take the ferry to Valetta, drive to Mdina or travel further afield — to the sapphire waters of the Blue Lagoon. Nothing is more than two hours away. Get ready for some Swiss bliss. We’re talking the whole shebang; cheese fondue, cows with bells, and plenty of après-ski opportunities. Swiss Escape’s charming chalet accommodates up to 15 guests. It’s situated at 1500m, in the heart of a dreamy village and with easy access to the cable car, supermarket, and a number of restaurants. In winter, you can brave the cold for skiing, sledging, ice skating, snowboarding, and the aforementioned après-ski at the end of it all. In summer, dabble in a little tennis, wine tasting, mini-golf, mountain biking, stargazing, and even bread baking in the village’s communal kitchen. Phew. When you’re not enjoying some activities or the picturesque panoramas, there’s a flexible workspace with an 80Mbps connection. Closest Airport by Car: Geneva & Bern, Switzerland (both 2,5 hours). Once a haven for German tourists, nowadays the Canary Islands are a feature on many remote working itineraries. And it’s not hard to see why — with one of the best climates in the world, a lively Spanish vibe, and great surf, it’s an easy destination to fall in love with. Colive and work at ReStation in Las Palmas and get to know your fellow digital nomads. There are numerous meetups to introduce you to the community and ReStation itself hosts at least three events on a weekly basis. The other reason you should move here? Lifestyle! With a two minute walk to the best beach in town, superb surfing, and adventurous hiking opportunities, you can forget about renewing that Netflix subscription. Closest Airport by Car: Gran Canaria Airport, Las Palmas, Spain (25 minutes). Sooo it’s not exactly in Europe, but we’ve heard great things about the coliving space Sun Desk. Located in Taghazout, a fishing-village turned surfing-hub in Morocco, it makes for an affordable and exotic coliving experience. After being discovered by hippies in the 70’s, Taghazout has since become a bustling little town. There are yoga and surf camps, mouth-watering Moroccan cuisine, and an array of local hammam and souks. If you’re the running type, 5kms of deserted beach await you in front of the Sun Desk house, with only a camel or two to disturb you! Plus, Essaouira and Marrakesh are both a few hours drive away, so you can explore Morocco further on the weekends. Closest Airport by Car: Agadir El Massia, Morocco (1 hour). Ella Cullen hails from New Zealand, and is our Head of Marketing. She’s fascinated by minimalistic design, sleek branding, and the freedom of remote work. Interested in getting great fow updates?